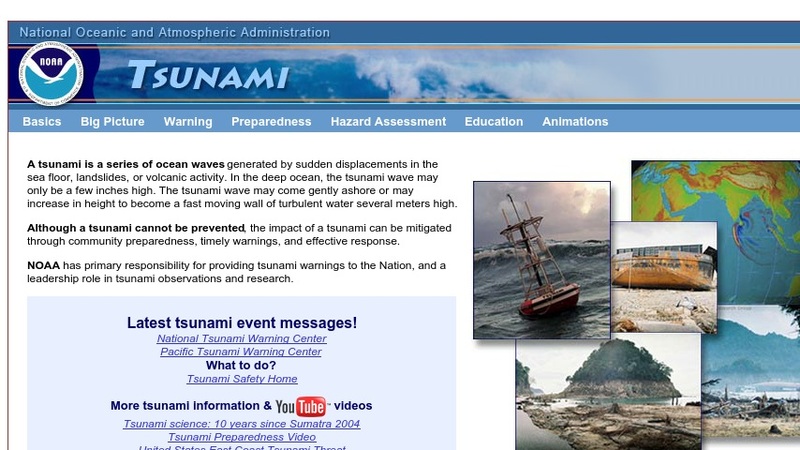 Web site developed by the National Oceanic and Atmospheric Administration (NOAA) on issues surrounding tsunamis. It provides an extensive selection of links to information on how tsunamis are created, hazards associated with them, and how individuals and communities can prepare and respond to a tsunami. There is also information about the NOAA's role in tsunami warnings and preparedness, including locations of warning centers in the Pacific Ocean Basin, observations and data, forecasts, and hazard-assessment research and modeling.